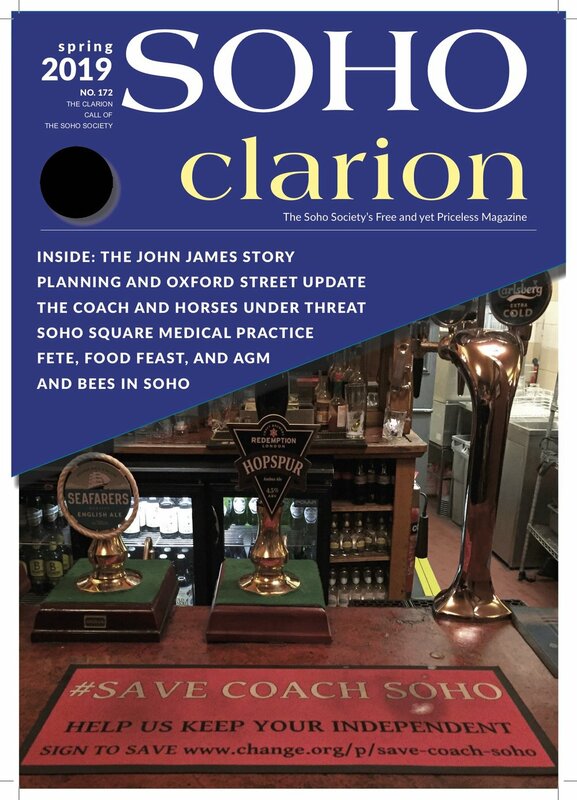 If you would like to write for the Clarion please get in touch. We are keen to include informative articles about new restaurants and businesses, development and anything that impacts and concerns residents. Please click here to request an advertising ratecard. 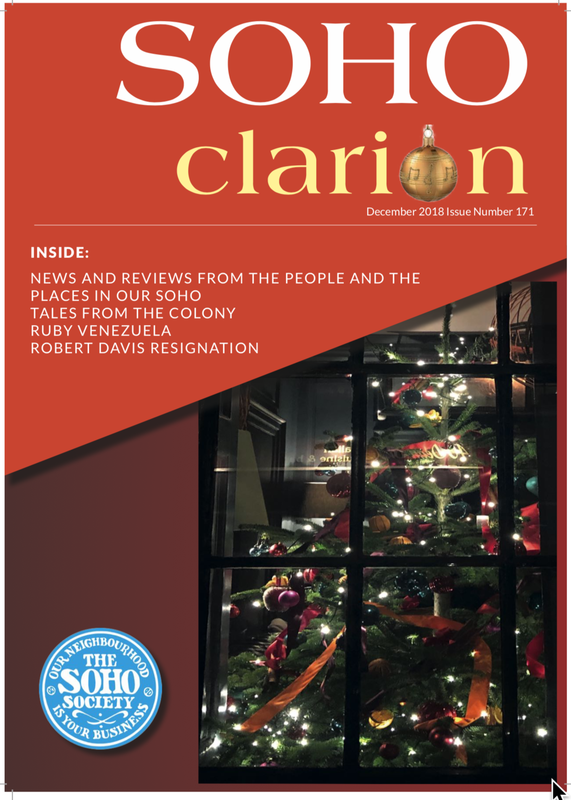 The Clarion is distributed to all Soho Society members and a large number of businesses, restaurants and clubs. You can also buy advertising here. Our archive is available here. Most recent copies below. We now also have a text searchable version of the Clarion archive. If you would like us to do a search for you please contact us.